Poor Business Writing is Not a Character Flaw! This seriously concerns me. Talking with a group of writer friends the other day, I asked why they thought so many perfectly bright, competent business people feel apprehensive about their on-the-job writing. Fear – of making mistakes, of inadequacy – maybe even leading to procrastination; and vulnerability – “putting yourself out there” came up from several of them. Some mentioned specific skills that business writers may feel uncomfortable using: grammar, word choice, sentence structure, inability to create interest or to make the point clearly, were some of them. While most were appreciative of the skills they learned from their English teachers, others mentioned school teachers who made them feel dumb when they didn’t “get it.” Well here’s the good news: Once you can identify where you feel vulnerable – grammar, clarity, focus, or wherever – you can fix it! • The feeling that you have to start and write perfectly the first time. Not true. 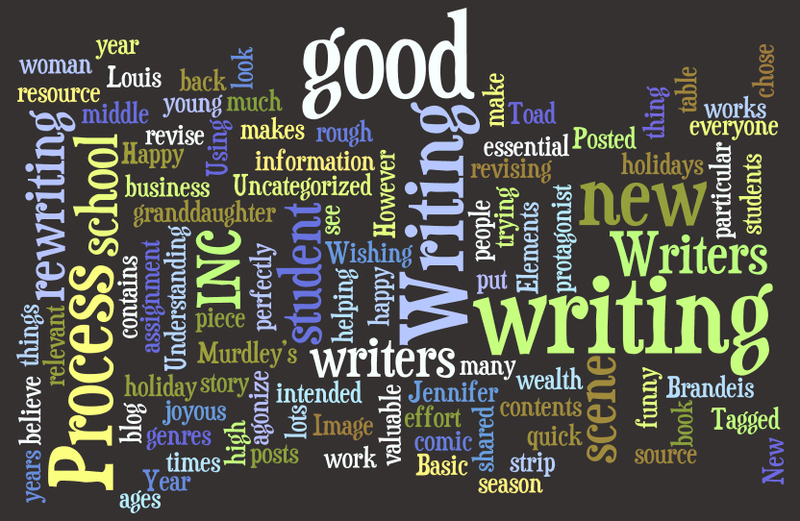 Most good writing has been written, reviewed, and re-written. It’s quick and easy with a computer, and the “checkers” available. Just remember to put your own eyes on your writing to be sure the computer is accurate with its suggestions. • Thinking that you were good in English in school, and not realizing there is a big difference between academic writing and business writing. • The tendency to give too much information. Don’t try to tell your reader everything you know about the subject. Select the facts and the information that provide insight into what your reader needs to know to do whatever it is you are writing about. The “too much information” syndrome is usually caused by a sincere, and worthy desire to be complete. Too much information, or unrelated information, only leads to confusion. • Difficulty getting started. What you have to do here is let the reader know, in the first sentence or two, (1) what this piece is about, (2) why he or she is getting it, and (3) what he or she needs to do with, or about it. If there is a deadline, you will want to include that as well. The complete first paragraph formula has been explained in previous posts, so take a look for more information. More about the first paragraph formula in future posts. • Lack of focus. Too many interruptions in an average business day make it hard to focus. For the shorter email or note, it may not be as noticeable. For a longer piece it is. The best way I know to fix this is with my Strategic Business Writing Blueprint. Having a system to fall back on is vital in this situation. Knowing how to proceed results in the confidence you need to write well. Tip: Your subject line is a quick and easy way to focus the reader. Just be certain that what the subject line says is what you will say in your email. Again, check some of the older posts, and we will do some new ones in the future as well. • Need for a habitual system that makes it easy to start quickly, comfortably, concisely; continue confidently; and finish strong. See the previous two sections. More posts upcoming. • Using the best medium before starting the communication – email writing, paper writing, texting, phone calls, in-person visits, and so on – is a critical consideration before you begin. • Using the right “tone” with your reader. Tone is the relationship the writer sets up with the reader, and is a significant portion of your communication. How do you want your reader to think about you? • Concern about giving offense. This concern can come into play when you have a solution to a problem, but may be reluctant to present it for fear of overstepping your boundaries, and giving offense. Of course you have to know your reader, but most business people who are in a position to make a decision, or to accept or reject your recommendation, greatly prefer having a “starting point” recommendation or two to having problems moved from your desk to theirs to solve, without a good recommendation or two – with backup! “Workarounds,” a word borrowed from the techie community, has become an interesting part of our business vocabulary, generally meaning if the way you usually do it, or are supposed to do it, doesn’t work, or if you’re not sure how to do it, here’s how to work around it to get the job done. Many of us were taught – or at least thought we were taught – that there is only one correct way to write. Certainly when you are talking about a prescribed type of writing, say a thesis or a dissertation, that is true. But in business writing, workarounds can get that piece of writing done both quickly and correctly, and can be useful when we’re not certain of the grammatical correctness of what we have written. There are many correct ways to get the job done, and in the typical business situation we do not have time to spend figuring out how to fix a particular phrase or sentence exactly as written. Business writing is not, and should not, be an English class exercise. 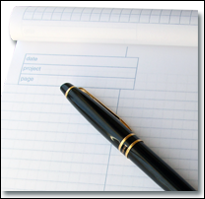 Business writing is a tool – a way to get the job done. 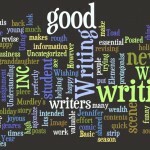 And the writing itself should be correctly done to enhance your professionalism and credibility. So let’s talk about a couple of quick, correct workarounds. Each employee will have a chance to show their best practices at the conference. Each employee will have a chance to show his or her best practice (or practices, if each is allowed to show more than one) at the conference. But if the employees are a mixed group – some male, some female – or if you don’t know the composition of the group by gender, use his or her. That’s the grammatically correct way to fix that specific sentence, keeping it generally as is. Each employee will have a chance to show an original best practice at the conference. Each employee will have a chance to show original best practices at the conference. 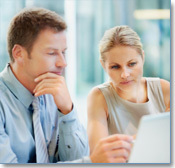 Employees will have a chance to show their best practices at the conference. In this corrected version, Employees (plural) matches up with their (also plural). 2. Often, and this also happens frequently when you are editing someone else’s writing, as well as with your own writing, the sentence is such a mish-mash of stuff that fixing it as written is overwhelming. Work around it. Get to the “bare bones” of what you (or the writer, if you are editing) are trying to say. Then re-write, to make it both grammatically correct, and understandable. 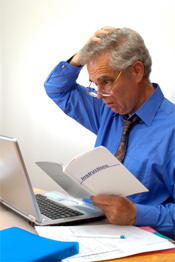 Step 1: Recognize and identify the error, errors, or cause of confusion. How Many Common Writing Errors Do You Make? Let’s talk a bit about grammar and usage errors today. Can you find the errors in the following three sentences? 1. Woodland Caribou: Less than 65 roam America’s mountains and mesas. 2. As soon as they get the test scores back, her or her assistant will call you. 3. They thought living in Canada would be a lot different than living in Portland, Oregon. 1. The error here is “Less.” When you can count them, it’s “Fewer,” so this sentence should read: Woodland Caribou: Fewer than 65 roam America’s mountains and mesas. Use “Less” when it’s something you can measure (volume): There is less coffee in the blue cup than in the red one. If you thought the problem was the capitalized word following the colon, then when do you capitalize the word following a colon? Capitalize the next word after a colon when it is a proper noun, or when it is the first word of a complete sentence. If it is part of a series, and not a complete sentence, it should be lower case. How about “65”? Numbers nine and lower are spelled out. Numbers 10 and higher are shown in Arabic numerals. As soon as they get the test scores back, she or her assistant will call you. Hope you’ve enjoyed this short quiz. If you’d like to test yourself further, visit our archives by clicking here. More About the Business Writing Trend: Short! Last week, we said that “short” is not what we really want, when we are looking for clearer, faster communication; when we want the reader to “get it” and to act on it now. What we are looking for is “concise.” “Short” can cause you a lot of problems, cost you more time, and result in lost productivity. You need to anticipate the questions you must answer for your reader before he or she can do what you are asking him or her to do. “Concise” – providing the information your reader needs, in as short a space as possible – greatly increases the odds that you will get what you need at all, and probably much sooner. The second part of this is to make your writing faster and easier to read. We already talked about alternate formats, cover letters, and whether to pass along this information at all. See last week’s post here. Last week, we said that your day-to-day business writing should be your most cost-effective marketing tool (see the post here), and promised you some words, phrases, and techniques that will help. Whether you are actually writing to persuade, or just passing along some requested information, the overall tone – the “feeling” your reader gets about you, and subsequently the way he or she thinks about you, and about your organization, is absolutely critical to the success of the piece you are writing, and in a larger sense, to the success of your organization overall. 1. Today, as the saying goes, “less is more.” That does not mean abrupt or incomplete. Give your reader everything he or she needs in as short a space as possible. Use the no-more-than-five-lines first paragraph formula, and, in five lines or less, you can be both as short as possible, and provide the information your reader needs, to do what you need him or her to do, much, if not most of the time. 2. If you have the time for this practice exercise, work with a longer sentence (yours, or someone else’s) and see how few words you can turn it into. For example, how can you tighten up the first nine words of the first sentence in this paragraph? How about, “For practice…” Usually a little thought and a quick re-write can help. What is really the point of what you are saying? How much of that detail does your reader need? What are the “bare bones” of your message/sentence/phrase? 3. Use a format that allows you to get as much information as possible into as little space as possible. Bullet points, for one example. Remember that formatting may not hold in the body of the email, and you probably should use an attachment when your message is format dependent. 4. Choose specific words. Words that leave no doubt what you mean. For example, how many is “few”? How soon is “ASAP”? Who is “everybody”? 5. Choose exactly the right word to clarify and to reinforce your message using fewer words. How many ways can you say, “send”? Or “situation”? Or “important”? 6. 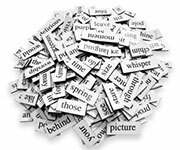 Use “comfortable,” easily-understood words, talking neither “up” nor “down” to your reader. Interestingly enough, using these two particular phrases will also change your feeling about the task, resulting in less fatigue for you by the end of the day. • To position yourself, or your recommendation, think about the relative power of the following phrases: I think, I know, I believe, I’d like to, I am convinced, I can, there is no question. “I don’t think” (an all-too-common phrase) will probably not be helpful. To encourage initiative, instead of “I don’t see anything wrong with that” try “sounds good to me,” or “let’s do it.” Even an enthusiastic spoken “O.K.,” will work in a conversation, maybe not so much in writing. So that’s it for today. Take some time this week if you can, to think about, and to try some of these words, phrases, and techniques. To receive your Business Writing Trends automatically every week, please subscribe to our newsletter. We’ll be happy to come to your organization. To discuss a workshop for your people at your location, or a shorter presentation for an upcoming meeting, email us at gail@gailtycer.com or give us a call at 503/292-9681. What’s needed is a fast mental checklist of some of the unexpected, but potentially lethal things you can look for quickly before hitting the send button. Of course you will start with the built-in spell- and grammar- checkers, being aware of their shortcomings: words correctly spelled, but in the wrong place, e.g., “at” for “an,” “to, too, two” (which one do you need? ); words that don’t mean what you think they mean; the “passive” incorrectly questioned, and so on. The old eyeball still needs to look the piece over. Now look at comprehension. Is there a chance your information could be misunderstood? Are you saying what you mean? If you offer a “new member program” is the program new, or is the member new? A “new-member program” (with the hyphen) would clearly be for new members only. A “new members-only program” would make it clear that the new program is only for members, but the members could be either new or existing. The “new member program” could be interpreted either way, and could lead to some time-consuming emails and conversations to clarify what you meant. One final checkpoint that is too often overlooked: Take a hard look at words like he, she, it, they, we. Is it clear just who you mean by “he”? Or what is “it”? Arguably, this is right up near the top of the list of the most common sources of confusion, and can lead to rumors, office problems, and a lot of misunderstanding – all of which takes time to fix! To receive your Business Writing Tip of the Week automatically every week, please subscribe to our newsletter. We appreciate your recommending a Gail Tycer business writing workshop for your workplace, or a shorter presentation for an upcoming professional meeting. Thank you. I remember all those Christmas eves, and maybe you do too, spent trying to assemble kids’ toys: “tab A in slot B” – that sort of thing, the evening too soon blending into morning, leaving us feeling incompetent, frustrated, and not anything at all like Merry Old St. Nick! It was enough to give you mental whiplash! Perhaps you are not “instruction challenged,” and perhaps we were not, either! I am totally convinced that our instructions included steps two, three, four, six, eight, nine, 11 and 13. Remember the last time you tried to put something together – maybe to put in a new sink faucet, for example (“they gave me instructions, how hard could it be?”) To install new software? Or to change the cartridge on your printer the first time? What’s the difference between instruction and obstruction? Why do we feel, and why might our readers feel the same frustration we have known? And how can we make it easier for our readers to succeed with our instructions? There is the oft-told story of the professor who was teaching his students to write an instruction. The subject: how to shuffle a deck of cards. Not one of his students, we are told, thought to start with either (1) secure a deck of cards, or (2) open the box and remove the cards, preferring to start with “divide the deck of cards into two parts…” And thereby missing steps one and two. Why? Because the writer assumed that of course the readers would know they had to secure a deck of cards, and that the box the cards were in would need to be opened, and the cards removed before the reader could begin to shuttle. This often happens when the writer knows so very much about his or her topic, forgetting that the reader may not know as much. And how about instructions for the non-technical reader on a technical subject? We’re not talking about technical instructions or technical writing for technical people – there are specific rules and formats for doing this. What we’re talking about here is how do you instruct someone inexperienced in your discipline, and unfamiliar with your “language,” so they can succeed? Well, in addition to making sure you have included every step of the process, you must also “translate” the words and phrases for your readers, into words or phrases they will understand. 1. First of all, consider what you are writing, and your probable reader. Most of the instructions we will be writing on the job will be simple, uncomplicated guidelines for getting a job done, and frequently will be presented in 1-2-3 list form. 2. What do you want your readers to be able to do as a result of reading your instructions? What do they already know, and what will be new information to them? Even though they may already know some of the information you are presenting, do not assume that you can leave any information, or any steps out, and still have every reader fully able to accomplish the necessary results. 3. How will your reader feel about doing what your instructions tell him or her to do? Will there be an element of resistance? b. If tools, parts, or supplies of any sort will be needed, list them. If you have not already done so in the first section, describe the results to be achieved by the step-by-step instructions to follow. One sentence is usually adequate. Now list, in 1-2-3 form, in detail, every single step that must be performed, in correct order. It also helps to start every step with an action word. Tip: For a detailed, or complex instruction, ask a co-worker to help you test the instruction by performing every single step – exactly as you have written it, and nothing more – as you read each step to him or to her. This will help you to pick up anything you may have left out, or anything that may be confusing. Tip: Again, for a detailed, or complex instruction, you might find it helpful to include some sort of graphic element, such as a labeled diagram, or numbered drawings of each step. Using a confident and positive tone, describe what the reader has accomplished, and its benefits.